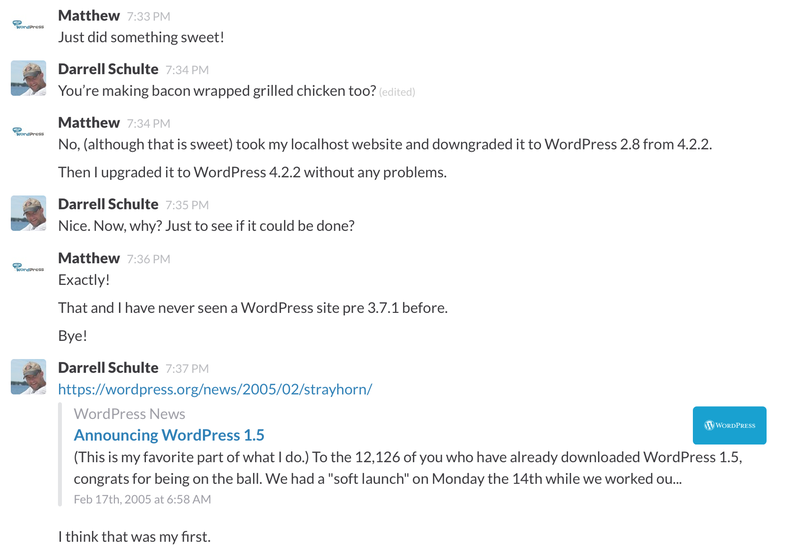 I had a brief conversation with Matthew on the Slack #forums channel that spurred some memories about what I think was my earliest use of WordPress. Back in February of 2005, Matt Mullenweg introduced “Strayhorn” and released WordPress 1.5 to the world. (This is my favorite part of what I do.) To the 12,126 of you who have already downloaded WordPress 1.5, congrats for being on the ball. We had a “soft launch” on Monday the 14th while we worked out some infrastructure issues and we’re now very ready to announce WordPress 1.5 to the world. This release is named “Strayhorn” in honor of Billy Strayhorn the pianist and sublime composer who worked closely with Duke Ellington and wrote tunes like “Take the A Train” and “Lush Life.” We thought he was perfect to represent the power and elegance of this release, which has been under intense development and testing the past few months. I’m not sure I can definitively say that “Strayhorn” was my first use of WordPress, but it’s certainly a moment in WordPress’ history that I can definitely remember. Pages were introduced, the plugin repository became a thing and theme templates continued to evolve as did spam mitigation. I was so impressed with Kubrick (the default template for WordPress) and then Michael Heilemann rolled out K2. Wow! I really thought that theme was cool. Heilemann introduced some other concepts that were later adopted like widgets and a settings page for themes. All the stuff we see and do with WordPress today started with some very humble beginnings and has grown tremendously in the last ten years. The “Strayhorn” release seems like it was a huge turning point and I feel pretty fortunate that I was able to witness a chunk of it in those early days.